I love short orders. More often than not I rarely have time to sit down and eat because I always end up going from place to place or being stuck at my table at work. 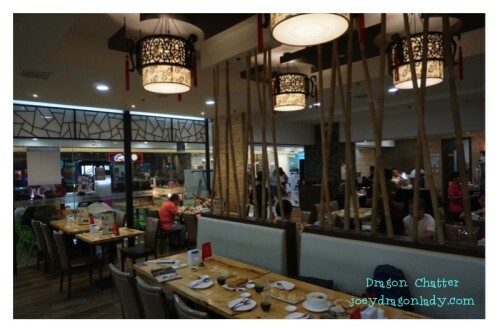 That is why when Zomatoph invited bloggers to join their Foodie Meet-up at The Dimsum Place at Fishermall just had to check it out. The place is expansive and it would accommodate a large crowd. The decoration, the colors even the menu reminds me of a popular Chinese place (THM), but as I browse the menu I discovered they have more to offer! My favorite will always be the Hacao! Seriously I could eat 20 pcs of these in one sitting. check out how fat and shrimp filled these babies are! 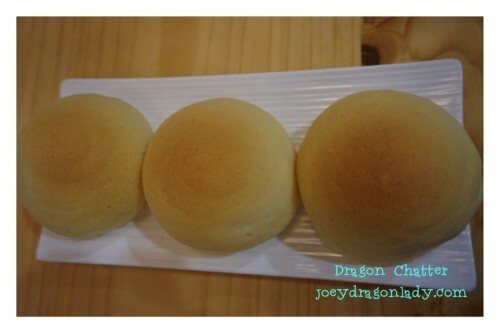 Eaten on its own or with a bit of soy, it`s a sure hit. 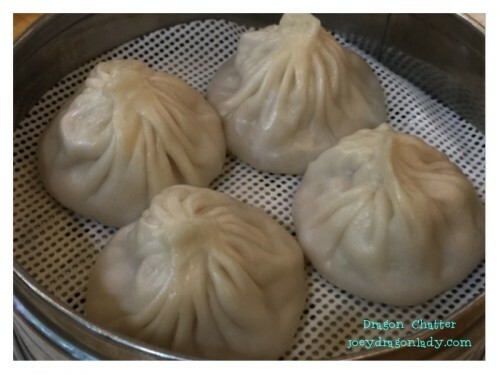 I have never been to Hong Kong or Taiwan so I can`t really judge if this Xiao Long Bao is authentic or not, I found the soup perfect and the filling delicious. A fellow bloggers felt that the wrapper could be made thinner. I wonder if it could sand the weight of the soup and not break? 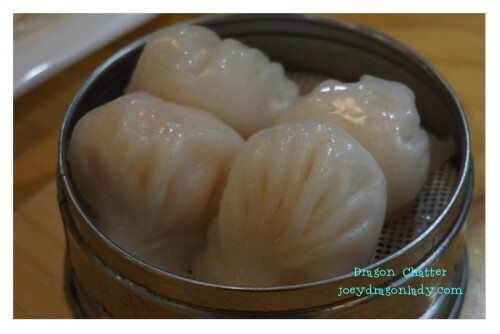 The best way eat Xiao Long Bao is using a soup spoon, you tear a small side of the XLB and sip the soup out and then bite into the filling. Yum yum! 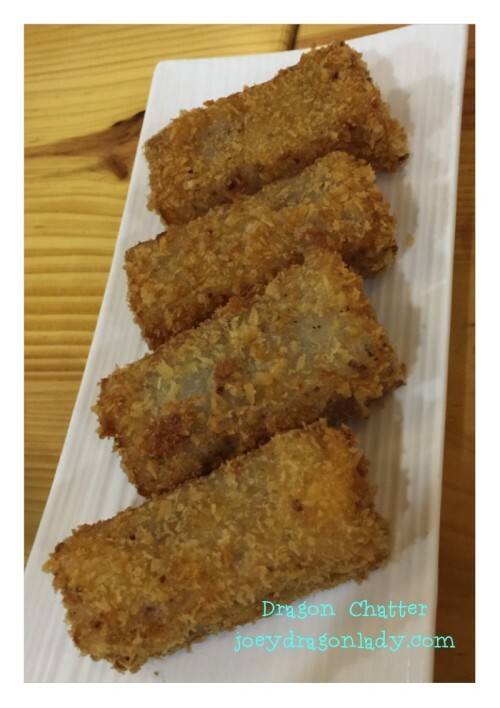 Another favorite of mine is these Crispy Radish Cake. If I didn`t know any better, I would`t be able to tell that it was radish (labanos). It was crunchy in the outside and soft and savory on the inside. 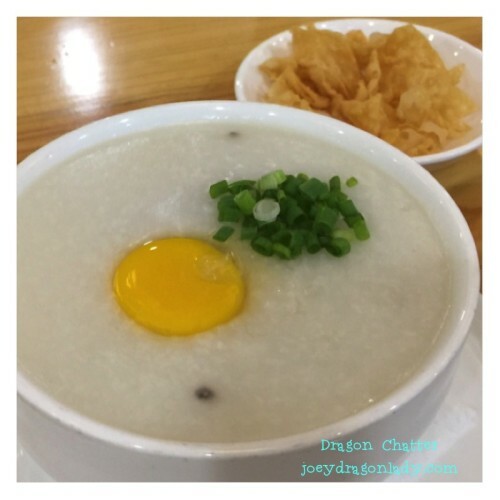 This is plain congee with thin slices of pork or century egg, topped with fresh egg and crispy wanton wrapper. There is a slight taste of ginger in the congee, I often find other congees watery but TDP cooked it just the way I like it. 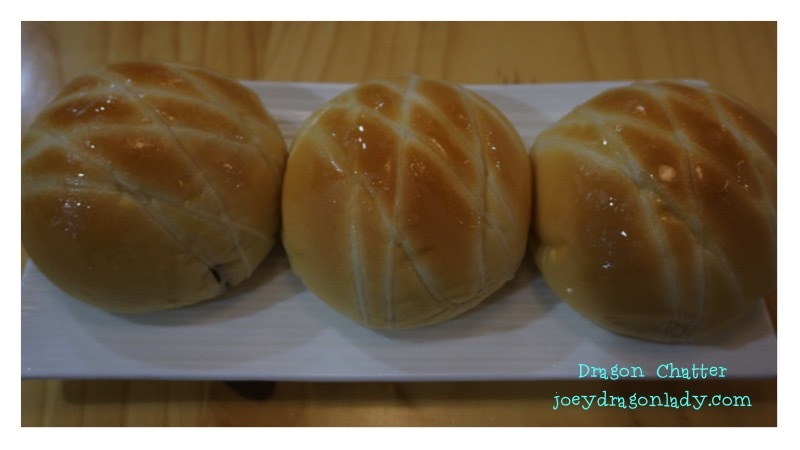 The Golden Cake is fried bread filled with sweet mung bean filling. 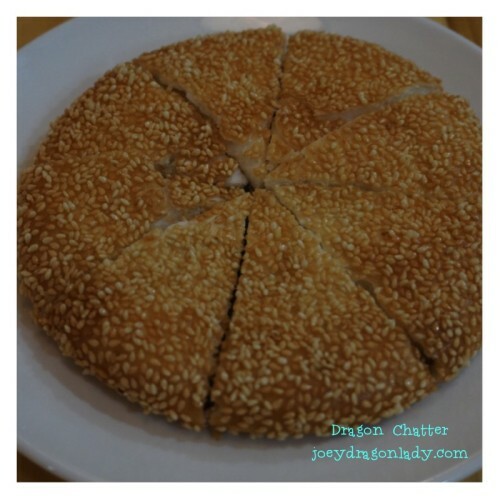 I enjoyed this sesame seed crispy bread with the sweet filling, reminds me a lot of bochie my Mom buys at Binondo only this is not oily! What a great plus! I am not much of a fan of Taro (Ube), but I did enjoy this bread I often have a lot of sweet bread whenever I am stuck at work unable to get up to eat out. This will help keep hunger at bay when a deadline looms. I wanted rice to go with these pork chops. Note they also serve rice bowls at the TDP. marinated with five spiced powder, this is a unique take on my beloved pork chop. 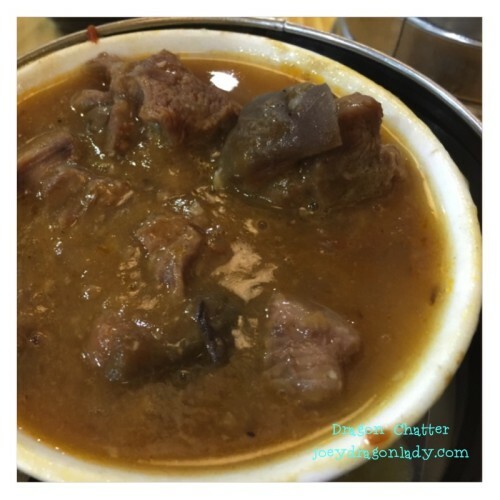 Curry Mutton (lamb meat) cooked with secret spices. I can`t really put my finger on it. It was seasoned perfectly that I could hardly tell the gamey tell of the mutton. It was very tender and delectable. 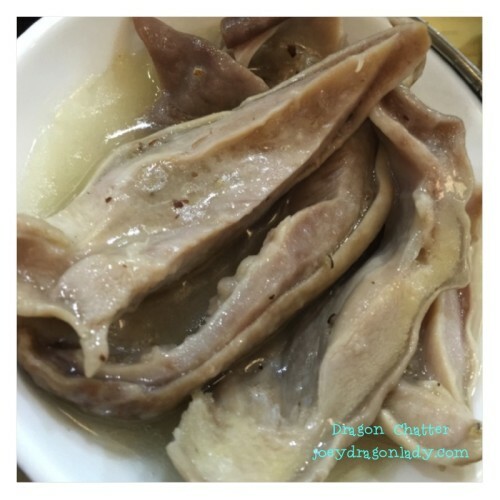 Pork Intestine, steamed pork stomach. I am not a fan of intestine in general but it was chewy with hint of bitterness. best paired with piping hot congee. Stewed Milk Jelly Puff , warm baked custard covered with puff pastry. 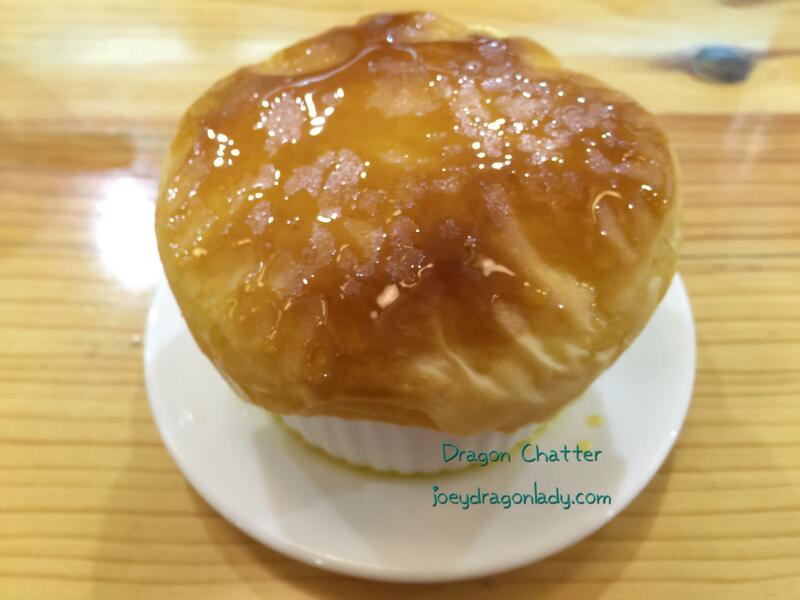 I love how soft and warm the custard was combined with the delicious flaky pastry puff . I enjoyed the experience of butting the crust off and shoving it in the pastry to mix the two together for the perfect blend and creamy taste. 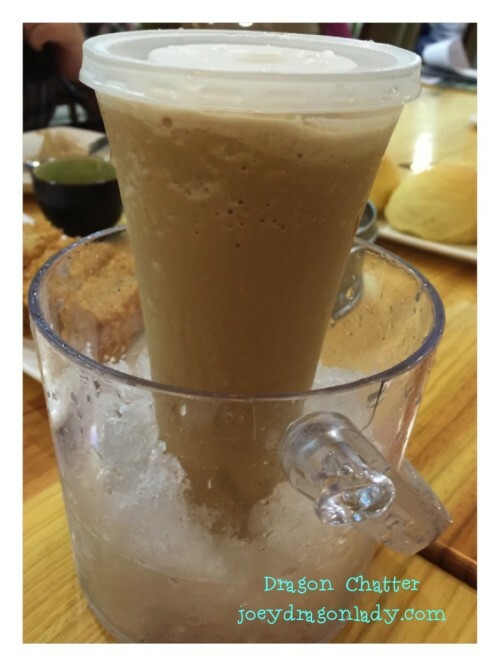 I was very surprised when they served me this Iced Milk Tea that came literally with its own ice bucket! I loved that there were no hard bits in this drink, just cool delicious iced milk tea of TDP own brew. I have to say The Dimsum Place is a great place to dine, but I would probably come here to get take out. Such a large and varied selection of Dimsum, Rice Rolls, Rice Bowls, Noodle Soups. Chinese Pastries and Cold Drinks! They also serve chinese tea on a pot for 50php. Not only that, if you look at the prices it is quiet affordable. Perfect for people on the go but would hate to miss a meal. 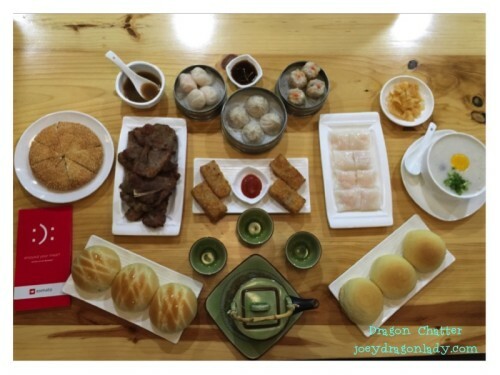 Food styled by Zomato Blogger Alvin Ong. This shot was from my iPhone is just so beautiful. 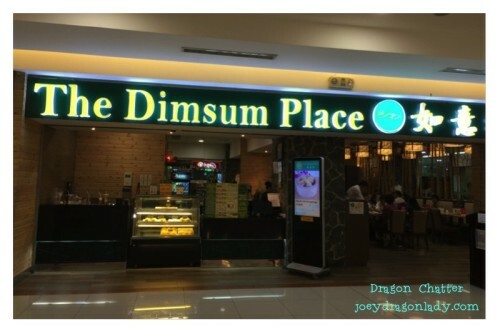 If you are desk locked or traveling but need sustenance during a trip, drop by The Dimsum Place at Fisher Mall Q.C. for a great selection of meals and snacks. They will also open at Sta. Lucia East, Cainta and Ayala Fairview Terraces soon! Thank you TDP and Zomato for a great meal! 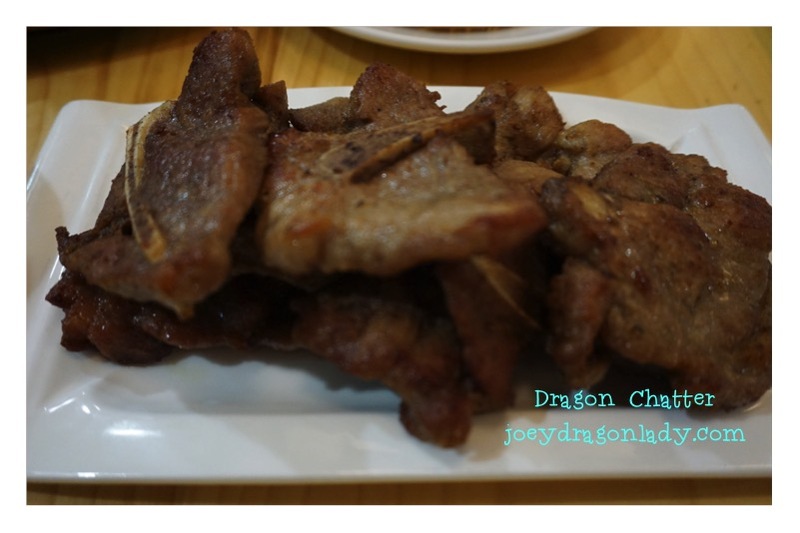 What Chinese delicacy do you like?